Over forty-five years after Congress passed the Voting Rights Act of 1965, a deeply divided U.S. Supreme Court has invalidated one of its key provisions. By a vote of 5-4, the Court ruled that Section 4, which establishes states and municipalities that must obtain federal approval before changing their voting laws, is unconstitutional. The District Court upheld the Voting Rights Act, finding that the evidence before Congress in 2006 was sufficient to justify reauthorizing Section 5 and continuing Section 4(b)’s coverage formula. The D. C. Circuit affirmed. After surveying the evidence in the record, that court accepted Congress’s conclusion that litigation remained an inadequate remedy to protect the rights of minority voters. It further found that Section 5 was therefore still necessary, and that the coverage formula continued to pass constitutional muster. The majority of the Supreme Court disagreed. They held that Section 4 of the Voting Rights Act is unconstitutional. More specifically, its formula can no longer be used as a basis for subjecting jurisdictions to pre-clearance. In its opinion, the majority did not expressly strike down Section 5 and, thus, left the door open for Congress to create a new formula. However, the tone of the majority opinion suggests that the current Court would likely be highly skeptical of any new legislation. Ultimately, the justices’ decision followed ideological lines. Justice Ruth Bader Ginsburg authored a strongly worded dissent, which was joined by Justices Stephen G. Breyer, Sonia Sotomayor, and Elena Kagan. “The sad irony of today’s decision lies in its utter failure to grasp why the VRA has proven effective. The Court appears to believe that the VRA’s success in eliminating the specific devices extant in 1965 means that preclearance is no longer needed. 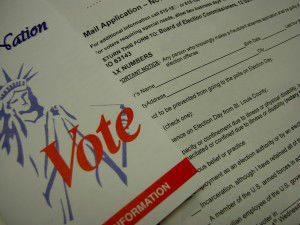 With that belief, and the argument derived from it, history repeats itself… In truth, the evolution of voting discrimination into more subtle second-generation barriers is powerful evidence that a remedy as effective as preclearance remains vital to protect minority voting rights and prevent backsliding,” Ginsberg argued in the dissent.